Eelco van der Lingen is founder, director and curator of Nest, an independent exhibition space for contemporary art in The Hague. As a freelance curator he was responsible for the exhibitions Nice ‘n Light for Centraal Museum Utrecht and Shift & Drift for Tent in Rotterdam. 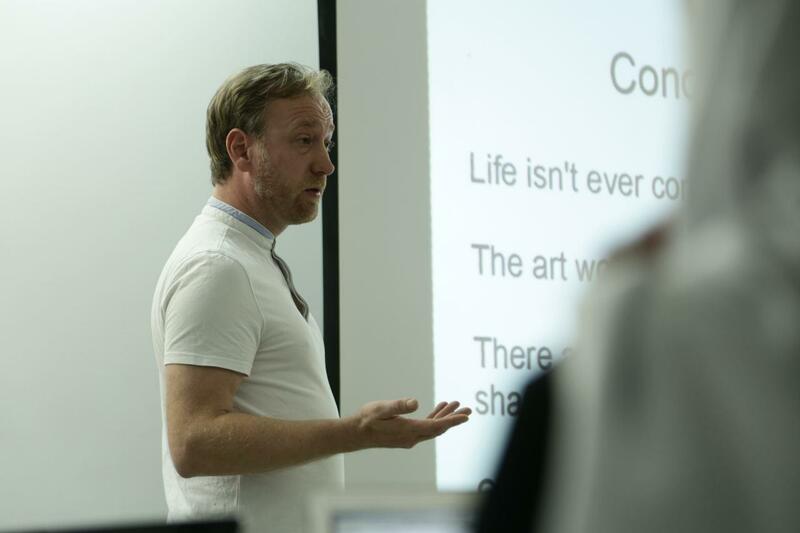 Eelco van der Lingen has been a guest lecturer and external examiner at several art schools and is committee member for the Amsterdam Fund for the Arts (AFK). In the past he was also committee member for CBK Rotterdam and the Mondriaan Fund. For Stroom Den Haag Eelco van der Lingen has setup the online art magazine Jegens & Tevens in 2010 for which he was also chief in editor until 2012. In 2011 he and four other art professionals initiated The Naked, an organisation that aims to focus on the different global localities and he was the chairman of Wander; an artist in residency organisation focused on the exchange of knowledge. Eelco van der Lingen has published several essays, columns, interviews and articles for (online) magazines like MetropolisM and Trendbeheer and for The city of Pristina, Centraal Museum Utrecht and Nest.